Justin Kasper, professor of climate and space sciences and engineering at the University of Michigan in Ann Arbor, is a principal investigator on the Parker Solar Probe, which is scheduled for launch Aug. 11 from Cape Canaveral Fla., the university announced Tuesday. The probe is expected to help scientists collect data on solar explosions. “The Parker Solar Probe will help us do a much better job of predicting when a disturbance in the solar wind could hit Earth,” says Kasper. The probe is designed to travel to the sun’s outer atmosphere to directly measure the electric and magnetic fields that produce coronal mass ejections, or explosions that can hurl massive clouds of the sun’s plasma at Earth, and the particles involved. Kasper led the development of instruments that will observe the ions and electrons that make up the sun’s atmosphere and solar wind. 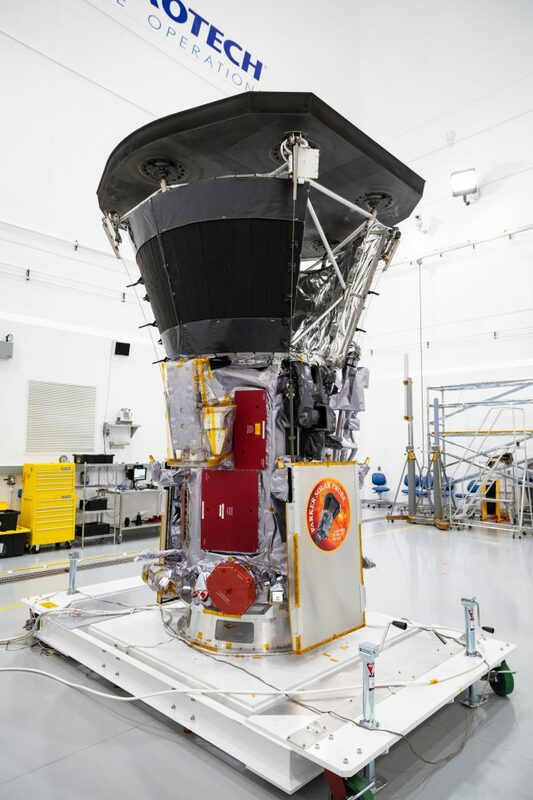 The Solar Probe Cup is a sensor that extends beyond the spacecraft heat shield to view the sun directly and collect samples of the sun’s atmosphere. The data will add to theories about the physics behind coronal mass ejections. In the worst case scenario, scientists worry a severe solar storm could wipe out the electric grid for months or years on some parts of the planet. Better prediction software can give electricity providers an early warning to protect the grid and prevent major outages. The probe must cross the Alfvén point, or the distance from the sun beyond which the charged particles that make up the solar wind are no longer in contact with the surface of the sun. “If the Parker Solar Probe can reach below the Alfvén point, then we can say the spacecraft has entered the solar atmosphere and touched the sun,” says Kasper. Below the Alfvén point, very fast waves called Alfvén waves can travel back and forth to the sun’s surface. The solar wind is believed to rotate with the surface of the sun and to be bathed in a mixture of inward and outward travelling waves. Beyond the Alfvén point, the waves can’t make it back to the sun. No spacecraft has ever been able to directly observe conditions below the Alfvén point. Observing them could show how conditions on the sun’s surface affect the solar wind and allow scientists to do a better job of predicting when a disturbance in the solar wind could hit Earth. The reason spacecraft have not been able to observe the Alfvén point is because they have to fly very quickly to escape Earth’s orbit and then slow down a great deal as they get close to the sun. The probe will be slowed using the largest U.S. rocket and the gravity of Mercury and Venus. The heat and the pressure from the sunlight also make it difficult to get close to the sun. The probe’s instruments will either hide behind the spacecraft’s heat shield or use special high-temperature materials. The sun’s pressure is so great that it has turned spacecraft around in less than a minute when they got too close.